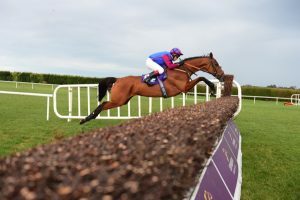 LA BAGUE AU ROI Takes Another Grade 1! 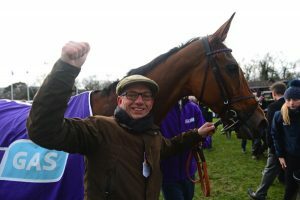 Home » LA BAGUE AU ROI Takes Another Grade 1! Our wondermare did it again. She made it four out of four over fences and scored her second Grade 1 in a row. Horses like LA BAGUE AU ROI are what this game is all about. She is athletic, strong and has a will to win which you wish all horses had. Her temperament is fantastic and she is joy to be involved with. We are very lucky to have her. 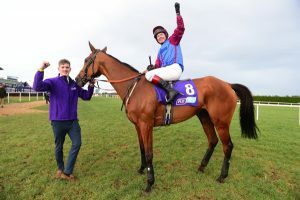 On Thursday LA BAGUE, Taylor and Jack started off their journey to Leopardstown near Dublin. 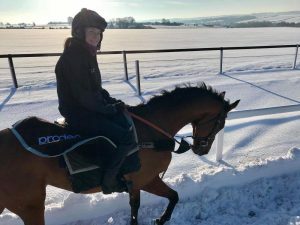 Luckily they made it out of Lambourn before the snow hit and reached Ireland with no issues at all. 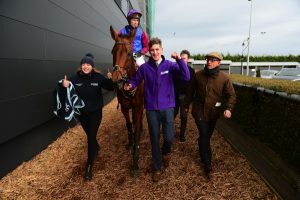 The Dublin Festival is one of the biggest stages for our sport and this weekend was no disappointment, seeing the biggest names in Irish racing, on two legs and four, competing for glory. 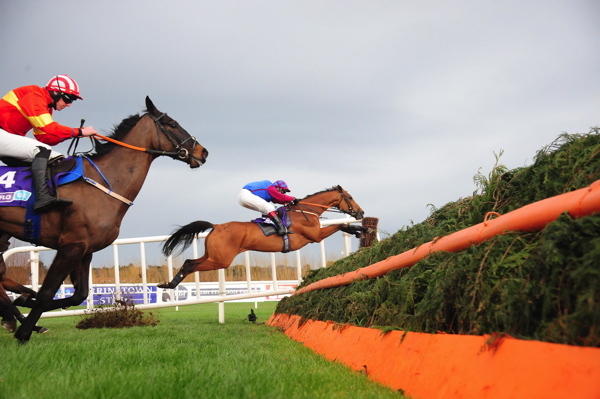 LA BAGUE AU ROI was among the entries for the Grade 1 Flogas Novices’ Chase. 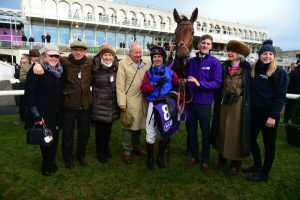 She took on some of the best novice chasing geldings that Ireland has to offer, battling it out over two miles and five furlongs around the galloping track. Once again piloted by Champion Richard Johnson they made all of the running and were nothing short of perfect for the entirety of the race. It is brilliant when a plan comes together and our English raid on Ireland did just that. 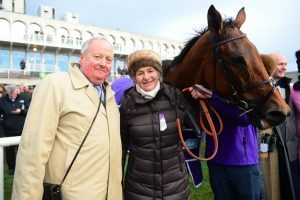 A huge thank you to her owners Nicky Turner and The Merriams for believing in the strategy and to all our staff for executing it so well. We are happy to report that she is back on English soil and is tucked up safe and sound in her stable. There are no confirmed plans yet but you will hopefully be seeing our superstar in big races in the months to come. We were hit hard with snow just before the weekend, with 10 inches falling overnight, covering the entire hill. Thank you to our brilliant staff who kept going in the tricky conditions. 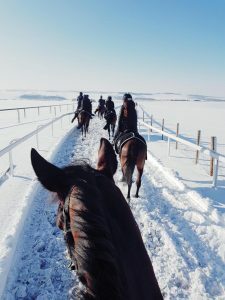 Also a huge thank you to everyone at the Jockey Club Estates whose tireless efforts enabled us to keep the horses on the gallops.